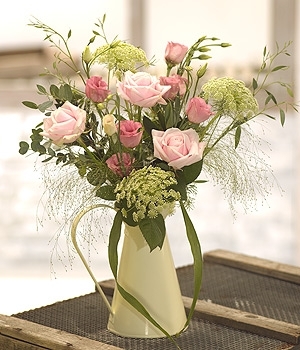 This hand-tied bouquet, aqua packed for freshness, has a soft, flowing feel of summer. 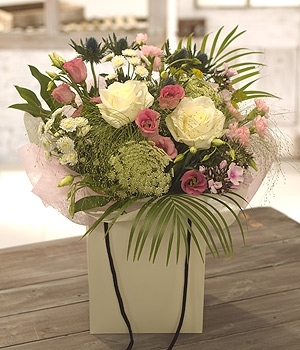 The delicately fragranced Phlox and stunning Roses are surrounded by Lisianthus, spray Chrysanthemums, spray Carnations, Eryngium and white Dill flowers. 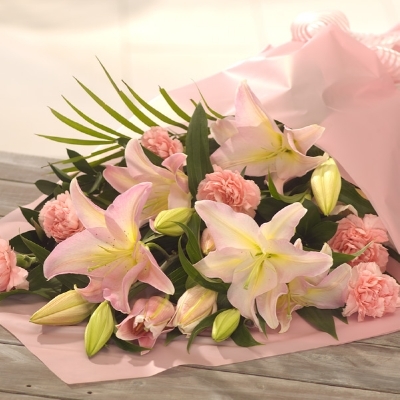 A bouquet of soft, summer favourites, pale pink Lilies and Carnations are beautifully presented and gift wrapped. 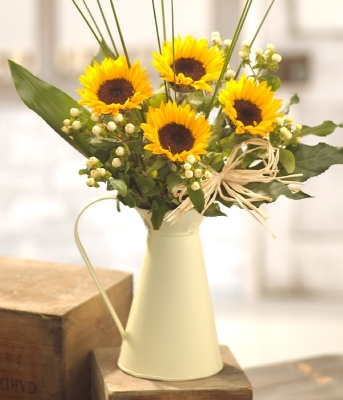 Designed for someone who loves to arrange flowers. 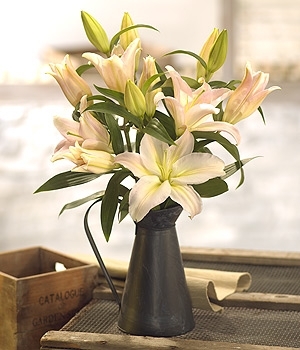 Add a vase to make it the perfect gift. 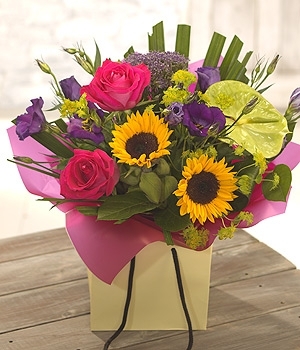 A summer carousel of colour. 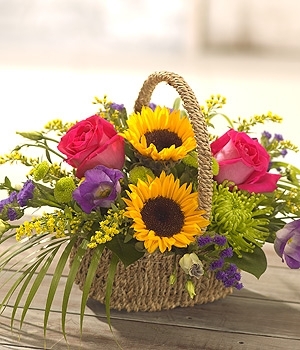 This bouquet is designed for someone who loves to arrange their own flowers. 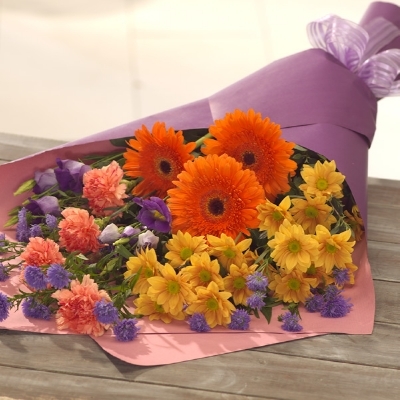 The feature flowers are Gerbera and Carnations accompanied by Lisianthus, Chrysanthemum and September flowers. 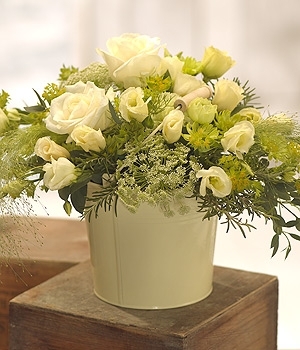 A beautifully cool summer colour combination of Roses, Lisianthus, Chrysanthemums and foliage, presented in a lovely cream flower bucket.